Perfect for any beverage with chips, cookies, fries, nuggets, fruits, nuts, popcorn and more! 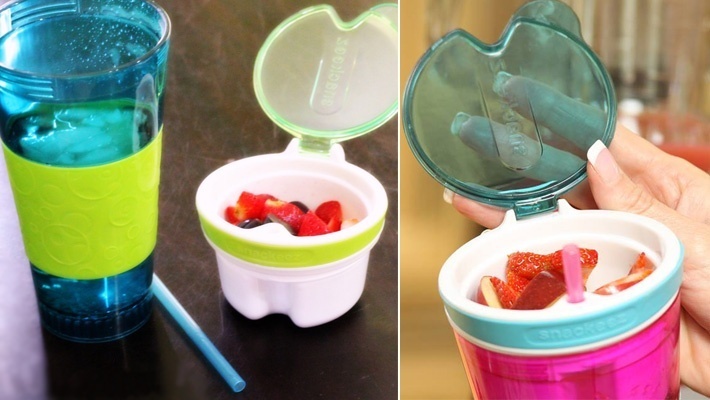 Carry your favorite beverage and snack in one cup wherever you are! 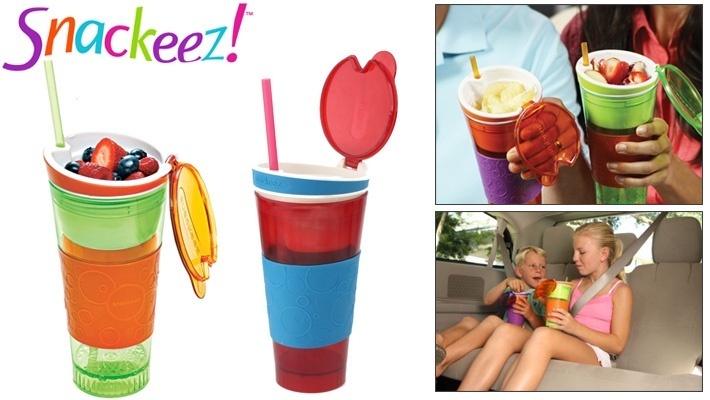 Benefit from 74% off this 2-in-1 Snackeez Cup, only $4.66 instead of $18.